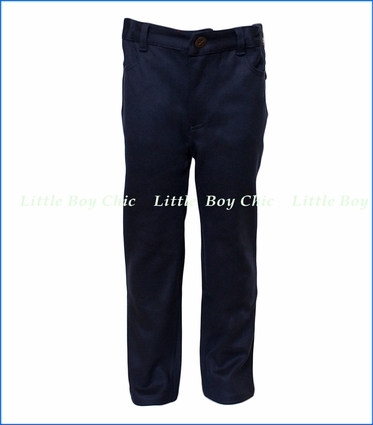 Break up the monotony with these elegant navy blue pants that could be dressed up or down. Flat front style and straight leg opening. 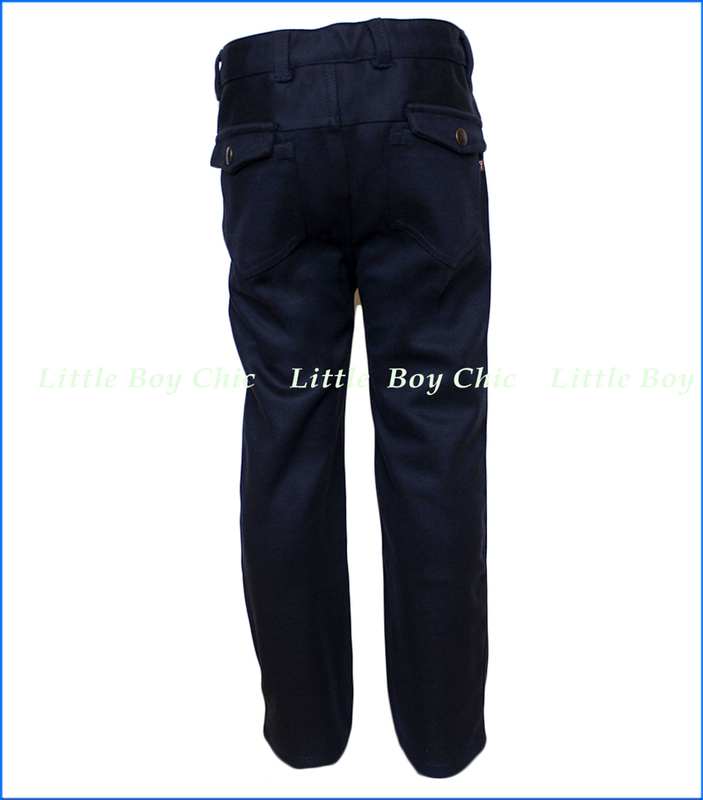 Pants are beautifully constructed, and design details include: flap snap rear pockets with nicely designed buttons in gun metal, elastic waist for added comfort with concealed adjuster on the inside and belt loops on the outside for the perfect fit and finished look, two front slanted working pockets. Soft hand feel with tad of stretch for comfort.